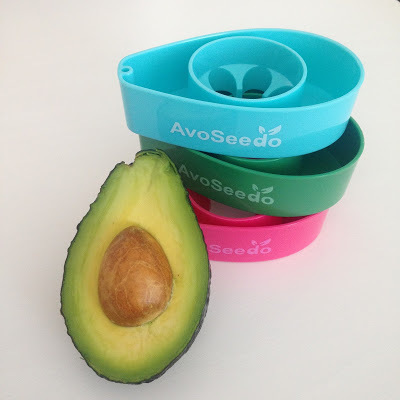 Avoseedo: an easy Way to Grow Avocados | Plant. Eat. Repeat. I eat quite a lot of avocados. When I was living in Africa, we would go down to the end of the garden and pick the avocados straight from the tree. They’d ripen over the next few days, and before you’d know it, you’d have tons of avocados just to happily much through. Now, in Switzerland, I’ve decided that it might be okay to have an avocado tree as a house plant, but I’m very realistic about the fact it’ll probably never grow fruit. But, despite the wealth of easy instructions on the internet, and some dogged determination on my part, I’ve never been able to even germinate an avocado seed (except for the one that grew, by accident, in the compost, but died shortly after we found it). One of the reasons I’ve struggled to germinate an avocado seed, is down to the fact that I can’t keep them at the right level in the water all the time. Previously, I’ve tried the ‘shoving matchsticks in the slippery seed, then balancing on the edges of a glass’ approach. There are numerous issues with this, but the biggest problem is that the seed doesn’t adjust to the fluctuating waterline… that’s were Avoseedo hopefully comes in. I bought these after seeing them online, and only after purchase realised that they had been another successful Kickstarter campaign (I love Kickstarter so much). The design is simple and intuitive. You place a peeled avocado pit in a little boat, write the date you started the seed on a little flag, hoist the mainsail, and then pop the lot in a bowl of water. As the waterline drops, so does the little boat, and in no time you’ll hopefully have a little avocado tree. I’m having avocado for lunch so I’ll set a little boat off shortly after. Watch this space for an update on the product, or if you have one then get in touch I’d love to know how you got on.